The term luxury means a little something different to each traveler. The most common definition of luxury refers to it as the refinement of living rather than a necessity. No matter what luxury means to you, these Top Florida Resorts have it! Florida has perfected the luxury resort concept and is home to some of the oldest most well respected resorts in the country as well as many new contemporary luxury resorts that are changing the industry standards. 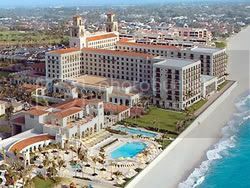 With an abundance of luxury resort in Florida this top list could include 100 or more locations. We had the difficult task of narrowing the list down to the best top 10 luxury resorts in Florida. These highly rated resorts and hotels all embrace luxury in a style uniquely their own, discover your definition of luxury on your next Florida Vacation. "At the Hawks Cay Resort room was beautiful and top notch. Great view of resort, pool and water! We did the Dolphin Connection and it is obvious the trainers care very much about the dolphins! Good place to stay in Keys. You can do many excursions from right there and it is close enough to take a day trip to Key West." "The Biltmore Hotel - Coral Gables is truly a special place. The architecture transports you to another time, the service is courteous and efficient, and you feel as if you are at a resort in a luxurious tropical location." 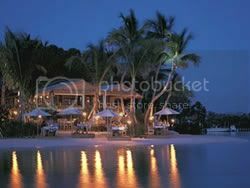 This top Florida Keys luxury resort features premier boating and endless activities on secluded Duck Key. The luxurious accommodations of the Hawks Cay Resort include guest rooms, suites, and villas. The vast array of resort properties insures that there is something for everyone on their vacation to the Keys. 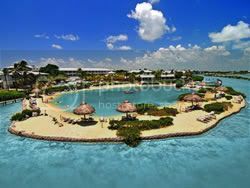 Hawks Cay is also a top Florida family resort so not only will you be please with the quality of the resort itself, the entire family will be swept away into an island paradise full of fun and excitement. Enjoy the five pools on-site or head out on an excursion of your choice indulging in options like fishing, scuba diving, para sailing and more! The Breakers Palm Beach offers Oceanfront luxury like no other. This top Florida resort is a member of the Conde Nast 2011 Gold List and ranks on our top 10 list for Family, Golf, Beach, and Luxury Resorts. With the warm hospitality, impeccable service, and every detail thought of prior to your arrival this truly may be the best luxury resort in Florida. Discover this landmark hotel for yourself and get ready to soak up an experience that can only be offered by The Breakers Palm Beach. With a self proclaimed company goal to only offer the best of Florida, the Breakers will not let you down no matter how sophisticated of a traveler you might be. Everyone has their own definition of luxury and over the past few years the meaning of the word for most travelers has evolved into something pretty special. The JW Marriott Grand Lakes has embraced luxury to it's core and offers guests a chance to do more than enjoy a fine resort, it provides you an opportunity to find inspiration. This Florida luxury resort is positioned on the Headwaters of the Everglades and is home to over 500 acres of the most enchanting natural surroundings. Partake in on-site kayaking or early morning fishing. Sometime even the simple things can be defined as luxurious. Enjoy taking life slow in an upscale resort, or head out on the town and see the best of Orlando. Be prepared to be spoiled at the elegant and hospitable Marco Beach Ocean Resort. This Top Florida Resort is unique among it's peers on Marco Island in Naples and prides itself on offering a level of luxury that has almost been forgotten in the cookie curter upscale hotel industry. Marco Beach Ocean Resort epitomizes the AAA Five-Diamond standards and features resort casual dining, pool and hot tub, rooftop garden, a spa and fitness center, and most importantly, four miles of white sand beaches. The highly trained staff of this boutique Florida luxury resort accommodates individual taste and regularly goes above and beyond to satisfy their guests. If your idea of luxury is romance and seclusion then the individual bungalows offered on the private island resort, Little Palm will sweep you of your feet. This top Florida luxury resort is the proud recipient of the 2010 Travel+Leisure's Best award among other highly respected national acclaims. With no phones, TVs, or clocks in the rooms it's easy for guest to get away, unplug and reconnect with each other. This top Florida resort does not allow children, so plan on spending some serious adult time on the island. With the well trained staff at Little Palm Island Resort handling your every need and desire, this may be as close as you can get to heaven on earth! 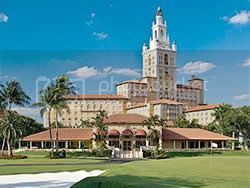 There is no better resort to experience the passion and vitality of Miami, Florida than the Biltmore Hotel. This legendary top Florida resort has been a favorite of world leaders and celebrities since it first opened it's doors in the 1920s. This landmark location is the only luxury resort in Miami to receive four-star and four-diamond ratings six years in a row. Minutes from South Beach, Downtown Miami, and Coconut Grove, this Coral Gales Hotel puts you in the ideal position to experience the best of Miami. Although this top luxury resort is home to a variety of amenities including a golf course deigned by Donald Ross, it's most notably known for the world-famous Biltmore pool with private cabana suites. Not only is the Ritz-Carlton Naples a top Florida golf resort, it also exudes a level of luxury that can only be experienced at a Ritz-Carlton hotel. With two world class championship golf courses designed by Greg Norman crowing a vast list of sophisticated amenities, this hotel will surely appease even the most seasoned travelers. Plan your vacation to Naples at the Ritz-Carlton Golf Resort and experience first hand why US News & World ranked this location one of the 10 best hotels in the USA. If only Florida's best golf resort will do this is the location you are searching for. If only the best of the best will do, don't forget to book the Presidential Suite! Discover the Seagate Hotel & Spa, a brand new luxury boutique resort in the heart of Delray Beach, Florida. 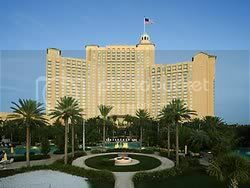 Although this is a newer resort hotel it is making wake in the top lists through out the travel industry, in fact the Seagate is also a top Florida beach resort! This boutique hotel offers a chance to merge the beauty of the beach with the sophistication of the city. 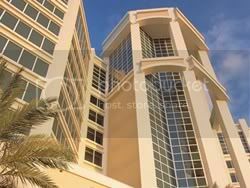 Located along the popular Atlantic Avenue the Seagate provides easy access to upscale shopping and dining. 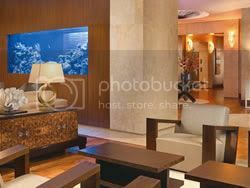 Guests of the resort also have privileges to the Seagate Beach club just minutes away by the on-demand hotel shuttle. 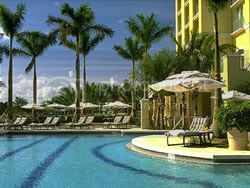 With something for everyone, this is the primer hotel in Delray Beach and one of the Top luxury resorts in Florida. It is not possible to find another laid back Florida beach resort that offers the luxury and sophistication of the WaterColor Inn & Resort. The quaint inn focuses on a level of perfection that surpasses most in the industry. 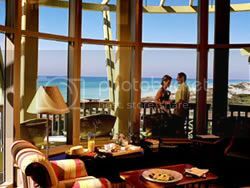 Each spacious room features private balconies with views of the sugar white beaches and sparkling emerald green waters of the Gulf of Mexico. With one of the best beaches in the United States paired with an upscale setting and a diverse selection of amenities the WaterColor Inn is a must visit when searching for the ultimate beach vacation. If you fall in love with the resort, don't worry there are on-site real estate opportunities. The top luxury resort in Key West is the Casa Marina. Nestled along the southern edge of the island and offering the largest private beach, this resort gives you access to a Key West vacation like no other. 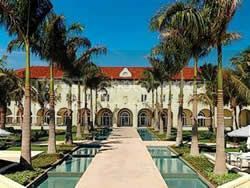 Opened on New Years eve in 1920 as the crown jewel in Henry Flagler's overseas railway, this is one of the most famous historic hotels in South Florida. This top resort is also home to the only boating pier on the south side of Key West, get ready for world class fishing at water sport all on-site! As a Waldorf Astoria Resort, you know you are in for a treat. If only the best of Key West will do, you have no other option. Discover the magic of Key West, Florida.